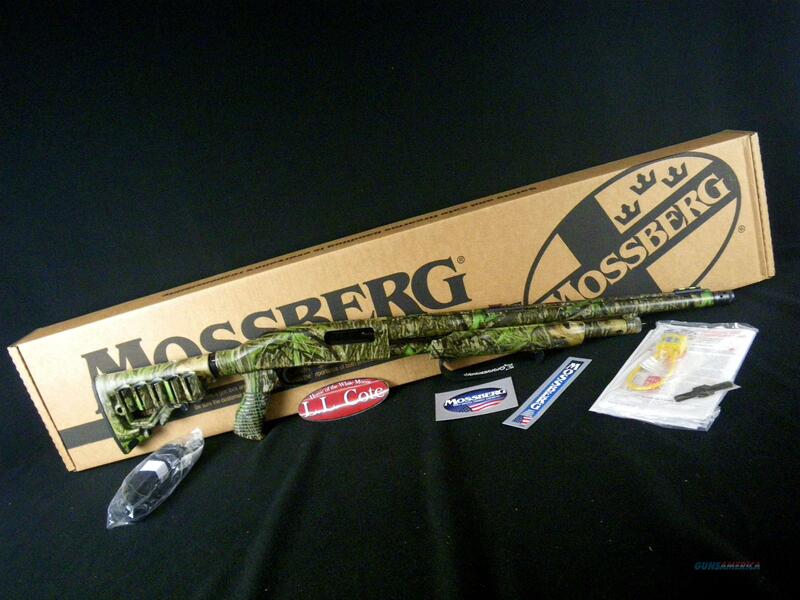 Description: You are bidding on a Mossberg 500 Turkey in 12ga with a 20" barrel and 3” chamber. Lightweight and rugged, the 535 ATS is the 3.5" shotgun perfect for all day use. This model features a synthetic 6-position, adjustable stock with a pistol grip. It is fully finished in Mossy Oak Break-Up Obsession, and includes an X-Factor ported choke tube. Displayed images are stock photos. Any questions please feel free to ask (our phone number is in the additional information tab above).